What is "Open Your Heart?" “Open Your Heart” is a campaign designed to target young adults and provide awareness for ‘healthy hearts’ via the use of online fundraising, social media trends, and viral cross promotion. J.W. 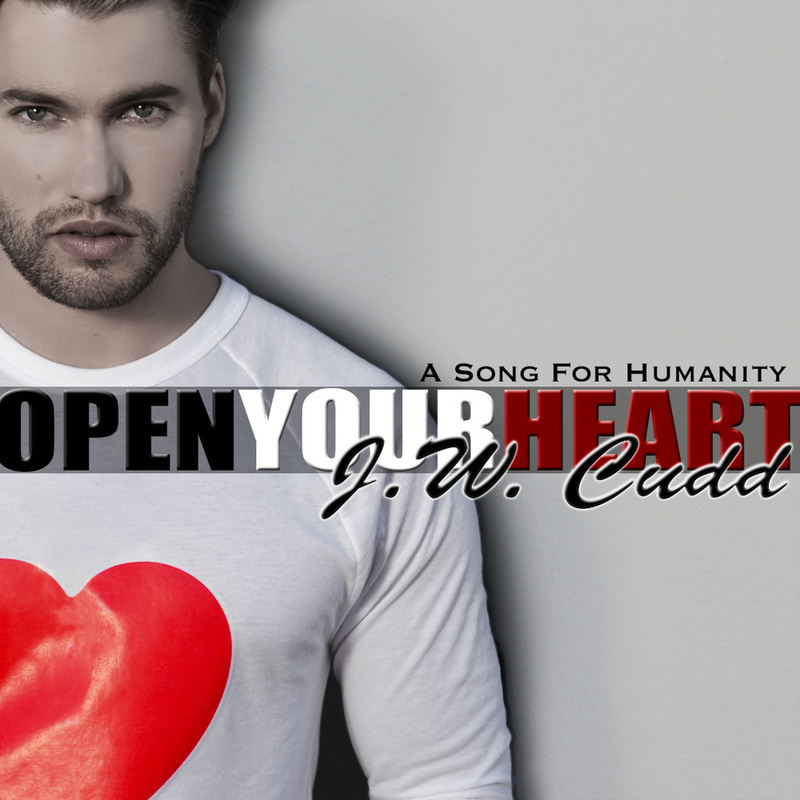 Cudd, a Pop/Country Artist, created the song, “Open Your Heart” in hopes of it providing significant funding for the American Heart Association’s legacy of public education and research. This song will be released in online music stores across the nation; J.W. CUDD will donate 100% of net proceeds to the American Heart Association, but in no event less than a total donation of 25% per sales price of “Open Your Heart” song from February 5, 2015 to December 31, 2015. The goal is to generate an online wave of fundraising— via the use of entertainment— that can be easily accessed with the click of a button. However, how do you get masses of people across the nation interested in helping out the American Heart Association? Make a music video with people they do recognize. 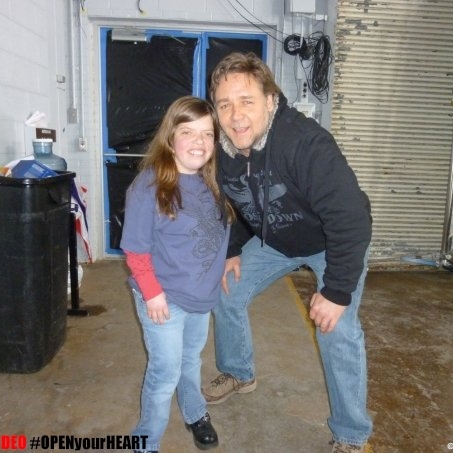 By creating a small video for the project, with well- known faces, “Open Your Heart” will appeal to a larger platform. This will help ensure the fundraiser reaches its full potential. As of February 2014, Cudd and his crew gathered photo submissions from celebrities, fans, and individuals to complete the video. Fifty - sixty actors ranging over today’s hottest shows and movies donated their time to ensure the campaign’s success. Above: Actress, Grace Victoria Cox shooting for the "Open Your Heart" music video. The song was written and composed by J.W. Cudd and Aaron Kellim. Cudd has charted on the European Country Music Association and Texas Music Charts. Kellim, an organic songwriter who is best known for his involvement with the bands Gin Blossoms and One Lone Car. The song and video are set for an online debut of February 2, 2015, courtesy of Big Grey Horse Publishing. Above: The album art for "Open Your Heart" by J.W. CUDD. Above: Actress, Pamela Chan shooting for the "Open Your Heart" music video. Above: Actress, Lindsay Bushman shooting for the "Open Your Heart" music video. In a fast-paced modern day society, it’s hard to find people that care . . . People that truly listen. We all have a million things to do, and when we tangle ourselves in day-to-day tasks, it’s easy to sometimes not have a grip on what’s actually important in life. It’s when you find those friends, the ones that come forth bringing unconditional love, you never want to lose them. They’re your saving grace when you’re self-destructive, a mess, and can’t handle the curve balls life throws at us sometimes. I fortunately didn’t have to look too far to find one of these amazing individuals. Michelle Liedke, lived in the apartment above me when I first moved to the City of Angels. We would often go grab yogurt down the street, watch George Clooney movies, get into trouble with our group of friends, and do everything else eighteen-year-old entertainers do in California. Yes, be afraid. However, a piece of me crumbled when I found out Earth shattering news . . .
Michelle passed away in February of 2013 when she underwent a medical procedure to change her pacemaker. You see, Michelle had been born with Congenital Heart Disease. Although healthy at the time, this procedure cost Michelle her life. Like many of us who go through these traumatic experiences, I was in a state of shock. Grief and anger set in later, but it took me nine months to fully digest the fact that my friend was no longer here. No more phone calls. No more texts. No more Michelle. However, things got interesting in the November after she passed. I began having these dreams that weren’t really dreams at all. They were more like messages. I’d see a red heart and the American Heart Association logo as though it was a secret code for something. A few nights would go by, and the symbol would appear just as it did the first time I witnessed it. After a while, this became one of those sporadic, novel, reoccurring dreams that you hear people talking about. It lasted for three months. I had this idea to leave a legacy for my friend by creating a campaign called, “Open Your Heart;” in which, people could buy the song online and all profits would go to the American Heart Association. By bringing her family, friends, and individuals from all walks of life together through a song, pictures, and a music video, I could try to give something back to Michelle—an intangible form of love she gave me years before by being a friend. For an entire year, my creative team (Stacey Alfano, Jacqueline Sherrard, Andrew Lane, Aaron Kellim, & Casey Masamitsu), Michelle’s friends and family, and myself worked day and night to bring this campaign to life. At times when I thought the campaign (and myself) would fall flat on its back, some how, divine harmony and order fixed every problem I had. Things fell into place, and I’m here to share with you Michelle’s story. Although all the love in the world can’t bring her back, what she taught me, and what I hope people walk away from this campaign with, will never die. Happiness is infectious. Being nice to someone can change their life (I’m living proof). And when you think you have nothing left to give someone, you always have your love and kindness. So now I ask: Will you open YOUR heart? Michelle Liedke was born in Pittsburgh, PA on March 18,1988 to parents Richard and Deborah. She had a rough start and spent the first month of her life in a neonatal intensive care unit. Michelle had been born with a hole in her heart and with the congenital heart disease hypertrophic cardiomyopathy. She surprised her doctors, however, and was able to go home to meet her brother Christopher. As early as kindergarten Michelle started to “entertain” her classmates and teachers by imitating famous singers and actors. She was developing a fascination for the entertainment industry at a young age. There were acting classes, involvement with school plays, and then auditioning in front of talent agents. 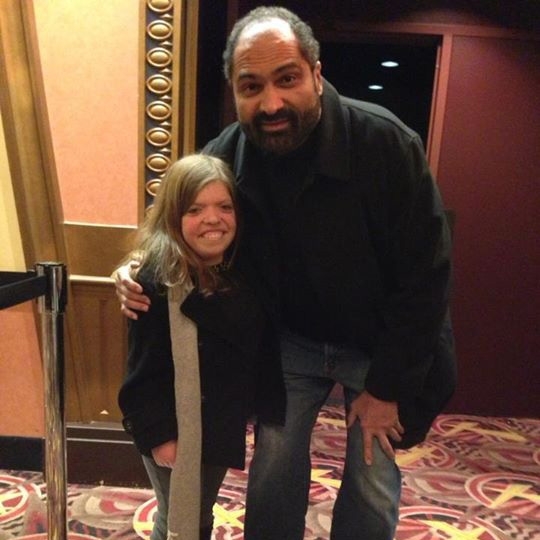 What opened the door for Michelle was the fact that she was four feet tall and adorable. Once she was through the door it was her radiant smile, warm personality, and humor that kept her in the room. Michelle wrote and performed her own monologues, which helped her find an agent in Los Angeles and two managers in New York City. There were the usual extra jobs on movies and a few non-speaking featured roles. However, her life became more interesting when she started doing stand- in movie work for child actors. She was involved in a series of movies that enabled her to work with some of Hollywood’s most prominent actors and actresses. She was right at home on these sets and knew that she was where she was meant to be. Michelle endeared herself, not only to these famous actors, but also to the wardrobe and make-up people, grips, electricians, cameramen, drivers, and cooks. Her sheer joy and enthusiasm when she was on these sets was obvious to all those around her. This was the life she was pursuing, and she loved every minute of it! As a result of this list she became SAG-eligible. In 2011, there was the Mastercard FAO Priceless commercial shot at FAO Schwartz in NYC—Michelle was a stand-in/stunt driver in a motorized car (that almost went down a flight of steps during one of the takes). She was a salsa dancer in a commercial for a southwest restaurant chain, Taco Mayo (2007). 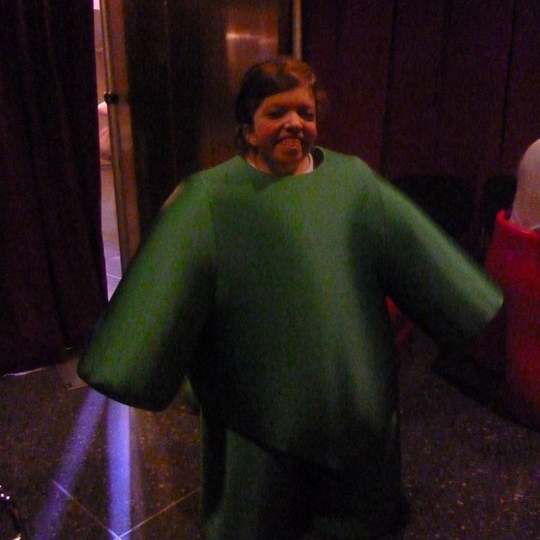 She was the green gummy bear on the “Today Show” for Katy Perry’s music release of “Teenage Dream” (2010). And, she had a part in DJ Steve Angello’s music video “Yeah” that has had over a million views. In it, she plays the role of the sidekick of an elderly female superhero (2012). Michelle lived a full but all too short life. Her muscular heart problem did not hold her back from anything. Only a handful of people were even aware she had a cardiac condition. She inspired everyone that knew her. Among her friends Michelle was the “go to girl,” because she had been through so much—her advice was always valuable and sought after. Her warmth, kindness, empathy, and genuine interest and concern for everyone she met made her the obvious person to turn to when someone needed help or someone just to listen. Michelle embraced being herself —she was utterly unforgettable. Her goal was to be in comedies on T.V. (and in the movies) so she could bring laughter and happiness to everyday people. She wanted to show the world that a little girl with a large heart could have a big impact on the world. And that she accomplished many times over. Sadly, Michelle died unexpectedly on February 27, 2013 after a heart procedure. She left us all wondering just how far she could have taken her dream. To this day she continues to inspire family, friends, and anyone who had the unique experience of meeting her. Michelle could not be loved or missed more . . .